Joocial has an evolved feature set to support most social management needs of a professional site, built on top of our popular AutoTweetNG extension. 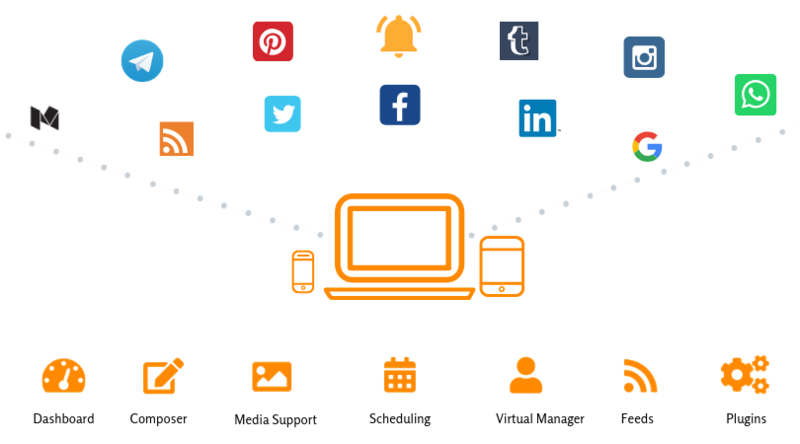 Beyond the original auto-publish solution, Joocial is here to provide full social content management for Joomla! Beyond auto-posting content, Joocial introduces tools at component item level to define specific properties. Integrated with Joomla Articles, EasyBlog, FlexiContent, JoomShopping, K2, SobiPro, Zoo, and more. Select media to be included in post. Schedule your messages according to a publishing agenda (content grid). Define a frequency of repeats for each message and check the Calendar View of scheduled messages. Define text formatting, filter, routing and pattern rules to manage your channels and messages. Powerful front-end and back-end editor to create and edit social posts. High-level virtual assistant to manage when messages are published (definite agenda, according to working hours), or when repeats are re-published. Working Hours and Evergreen posts are the cornerstones of a successful social media strategy to define when posts are initially delivered and when posts are worth to be repeated. It supports Evergreen messages. Posts to be re-published on demand to fill a streamline if there is no recent activity. Content is produced with great effort. Evergreens help you to feature your permanent value into social channels, following your strategy. I have several thousand articles (5,000+) I am looking to mark articles as evergreen so they can be posted in random order to twitter on a schedule (a few per day, one every few hours). The most powerful back-end feature, developed since 2009 for AutoTweetNG allows you to publish content submitted in any of +60 integrated Joomla extensions. Now, it is empowered by Joocial publishing edition and front-end management. Enhance your streamline with automatic articles loaded, via RSS Feeds Grabber.